The Holden Racing Team has taken its first win since the season opener with Garth Tander and Warren Luff taking the chequered flag at the Wilson Security Sandown 500. 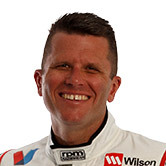 The victory is Tander’s first since Townsville 2014 and will be a much-needed boost for the factory team. The #2 Commodore pushed to the time certain finish with its front guard hanging off the car – though it was deemed safe by the Supercars technical department. Red Bull Racing Australia’s Shane van Gisbergen pushed Tander to the end taking over half a second out of the HRT car’s lead. The gap closed to 0.34 seconds – and Tander held on for his first career Sandown 500 win. Team boss Ryan Walkinshaw was relieved after the HRT Commodore looked the goods throughout a weather-affected race. “We can believe it – we just have to try and get it done again at Bathurst,” he said. The positive for van Gisbergen in finishing second is that he has taken the Championship lead from Jamie Whincup by seven points after the drive with Alex Premat. 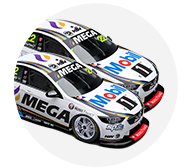 Whincup and Mark Winterbottom had shocking days, while the TEKNO Commodore shared by Will Davison/Jonathon Webb came home third. The race only reached 142 laps after a heavy lap one crash for rookie James Golding triggered an early red flag. He walked away from the accident, estimated at 145km/hour, after the Volvo qualified fourth. Warren Luff had a great start and was first on the restart as pole man Paul Dumbrell dropped back to fourth. Back in the pack Dean Canto was setting fastest laps and ran an alternate strategy to the front-runners. Steven Richards and Russell Ingall were caught out at the same spot at turn four, and then on lap 37 the rain came. Canto stayed out on slicks with a handful of others and it paid off as the Bottle-O Falcon picked up stops. It looked like he was putting defending champ and 2015 Sandown winner Mark Winterbottom in prime position for a comeback – until he parked it in the tyres triggering a safety car on lap 55, just the time the co-drivers could jump out. Richie Stanaway was a standout in the co-driver portion of the race, as was Cameron McConville, the two also staying on slick tyres. Dumbrell stayed out longer – but his pit stop triggered a pit lane penalty for the #88, reaching his arms out of his seatbelt before stopping. The same issue caught out Tim Slade. 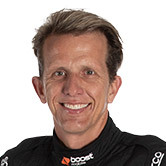 Tander took the lead after the last run of pit stops, undercutting his rivals.